Barbara Dabrowski and Robert Shepherd spent their lives making engineering more sustainable and recently endowed an award at UBC that will assist engineering graduate students in perpetuity. Husband and wife team Robert Shepherd (BASc ‘69, MEng ’79) and Barbara Dabrowski (BASc ‘78, MASc ’81) share more in common than thriving careers in environmental engineering. They both credit their education with helping them to have a positive impact on society. To support the program that started their careers and pay it forward, Barbara and Robert donated funds to create and endow the Dabrowski and Shepherd Award in Environmental Engineering. By endowing this fund now, Barbara and Robert get to witness the impact of their support and to hear the stories of the graduate students they support. Barbara and Robert have also left a significant legacy in their wills that will expand this award significantly through their estate. Barbara and Robert met when they were two of only three students in one of the earliest cohorts in the Master of Environmental Engineering Program at UBC. They graduated when environmental engineering was an emerging field and industries and governments were just beginning to consider how to minimize negative environmental impacts. The couple enjoyed successful, although different paths in the field. Robert worked in industry, consulting and the federal government, while Barbara’s career spanned industry, government and education. Since starting out in the profession, they have seen huge changes in how industries operate and advances in sustainable engineering practices. “We think environmental engineering is important and it has the potential to become even more important than it is today,” says Robert. Barbara and Robert will leave a legacy that will impact the lives of graduate students in engineering for decades to come. As Barbara Dabrowski and Robert Shepherd have shown in our cover profile story, a blended gift has worked effectively to help them achieve their goal of inspired philanthropy to UBC. During their lifetime, they have set up an endowment known as the Dabrowski and Shepherd Award in Environmental Engineering and they have also made a provision for a gift in their will to augment their award. Blended gifts incorporate a structure where you give something now, something later (gift in Will) and perhaps something in-between. 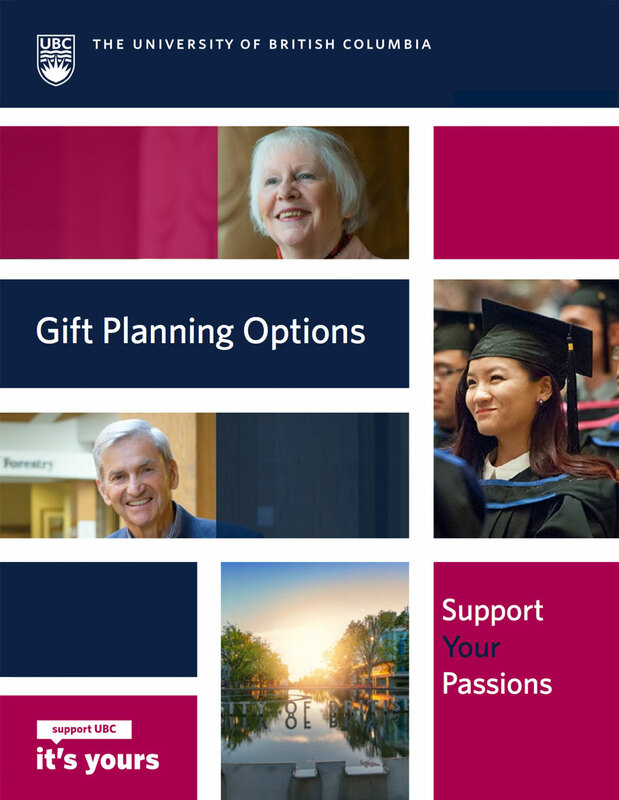 They provide you with the greatest opportunity to maximize your philanthropic investment in UBC, while taking into consideration your long term financial needs. There are also significant tax advantages to giving during your lifetime and similar tax advantages when you leave a gift in your estate plans.